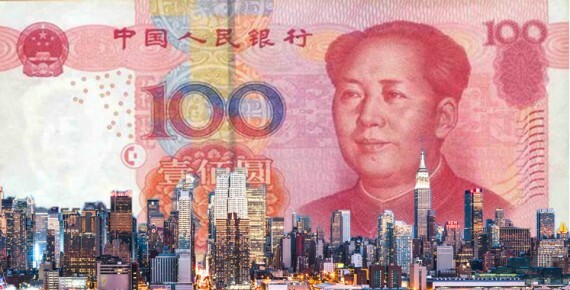 Money continues to flood out of China, which should be good news for New York’s real estate market. August was the 24th straight month of net capital outflows from China, with $51 billion leaving the country after accounting for capital inflows, the Wall Street Journal reported. The pace has slowed a bit from its peak in December and January, when more than net $140 million left the country each month. Year-to-date, net capital outflows from China total more than $400 million, driving down the Yuan 3 percent against the Dollar. Meanwhile, China’s foreign currency reserves fell by $190 billion this year. Many savers appear to believe that the Yuan will continue to fall in value, according to the Journal, which gives them an incentive to convert their wealth into dollars. Chinese savers looking to get their money out of the country have been a staple of New York’s residential real estate market, helping drive up luxury apartment prices to record levels. This year the high-end market has slowed a little, so it should be welcome news for developers and brokers that Chinese buyers don’t appear to be going anywhere.